Whiplash Compensation: Are You Eligible? If you’ve been involved in an accident that you suspect may have caused whiplash, it’s important that you take the right steps to protect your rights with attorney. Home > Blog > Whiplash Compensation: Are You Eligible? Nov 22, 2016 | Under Car Accident | Posted by Dante Law Firm, P.A. If you’ve been injured in an accident or a fall, you may start suffering the symptoms of whiplash. These symptoms sometimes take between 24 hours and a few days to appear. If you’re starting to feel these symptoms, which include a sore neck or neck stiffness, you may wonder if you’re eligible for whiplash compensation. If you take the right steps, you should be able to recover all the compensation you are due. Whiplash happens when your head moves backward and then forward very suddenly with great force. Common causes are a rear-end car accidents, sports injuries, cycling accidents, amusement park rides, or even physical abuse. Symptoms make take a few days to appear, so pay attention to any physical changes you feel within several days of any accident. Whiplash may not seem like a big deal but, if left untreated, it can cause long-term pain and discomfort. In severe cases, whiplash can cause memory loss, difficulty concentrating, and problems sleeping. If you’ve been involved in an accident that you suspect may have caused whiplash, it’s important that you take the right steps to protect your rights. What you do at the scene of an accident has a lot to do with your ability to collect whiplash compensation. First, be sure to call law enforcement to report the accident. Whether it was a slip-and-fall, a car accident, or a sports injury, it’s important to have a legal report of the incident. Unfortunately, sometimes the other party in the accident will try to convince you that the accident is no big deal and that they will give you their insurance information to handle everything. However, if you leave the scene without a report, you have no proof anything happened. Be sure to accept any offered medical attention. If you refuse to be looked at or to go to the hospital, your ability to claim whiplash compensation can be compromised. If the incident was a sports injury or another accident in which no medical personnel were called, go to the doctor on your own as soon as possible. Many medical injuries are not immediately apparent. A medical examination will help make sure you’re OK and that you can get all the compensation for your injuries that you are owed. While it’s common knowledge that you shouldn’t admit fault at the scene of an accident or a slip-and-fall, you should be careful what else you say as well. Even an innocent comment like “It’s fine,” or “It’s no big deal,” which people often say to help protect the feelings of someone else, can be used against you in court. Saying “Nothing’s wrong,” or “Everything is fine,” can be used as evidence that you aren’t owed any whiplash compensation. Many people, as soon as they are hurt in an accident, jump on social media sites like Facebook to share their story. Don’t do it! A Facebook post could ruin your ability to collect whiplash compensation. A simple picture of you at a birthday party or backyard cookout can be used by defense lawyers to “prove” that you weren’t injured. They could also use offhand jokes from friends to try and show that you had some liability in the case. Very simply, keep your injury details off social media and keep your personal pictures private. It may be tempting to take the first insurance settlement offered to you just to get the case over with. However, if you do, you’ll run the risk of being cut short on your whiplash compensation. No matter what they say, insurance company representatives don’t have your best interests in mind. They are paid by the insurance companies to get the most favorable settlement possible. That’s who they work for. Make sure your rights are protected by getting a personal injury lawyer to pursue your whiplash compensation. The insurance companies have lawyers protecting their interests, why shouldn’t you? As noted above, after an accident you’ll want to retain a personal injury lawyer to help you in your whiplash compensation case. You’ll also want to get immediate medical attention to prove your case. You may face some ridicule for pursuing whiplash compensation, but don’t let that phase you. Despite what you’ve seen on television shows, whiplash is a real injury with real debilitating consequences. Your personal injury lawyer will file a case on your behalf as quickly as possible. They will also notify both your insurance carrier and the other party’s insurance company. You’ll need to document your medical expenses as you get treated for injuries after an accident. These include not only doctor’s bills but also mileage, lost wages due to missed work, insurance copayments, and prescription medication costs. The insurance adjusters will need proof of every dollar claimed. In a lawsuit, you may also be eligible for additional whiplash compensation, including non-economic damages. These include pain and suffering, emotional distress, and other relevant issues. It’s important to have a personal injury lawyer to guide you through the process. Getting the whiplash compensation you deserve should not be left to insurance agents or to chance. If you’ve been injured in an accident, take immediate steps to protect your rights. Be sure to get a police report, not admit fault, and receive immediate medical attention. 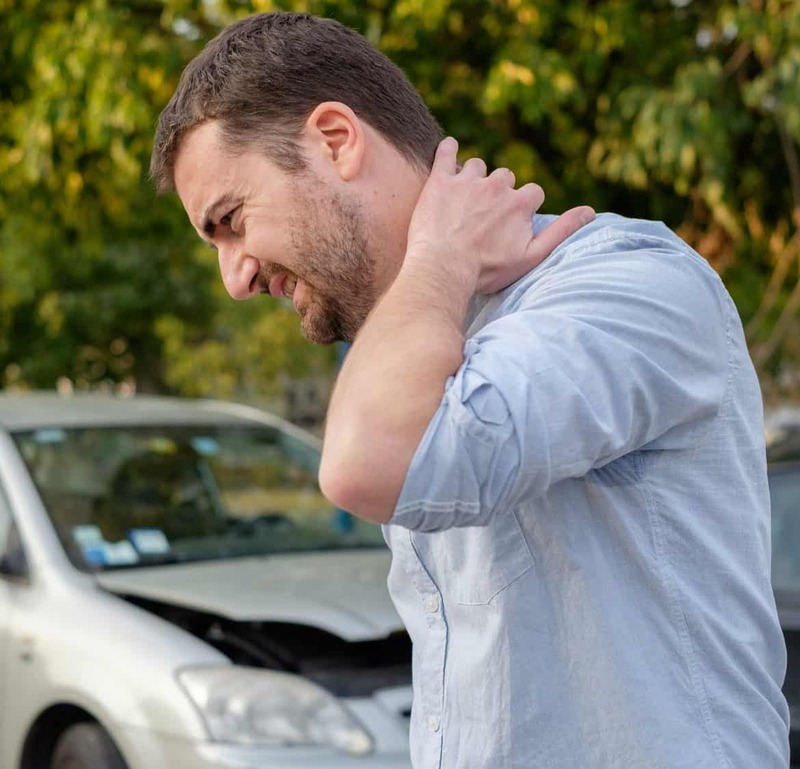 Once you’ve taken these steps, protect your rights to whiplash compensation and other damages by getting a high-quality, experienced personal injury lawyer to represent you. You don’t want to face the other side’s lawyers alone. If you’ve had an accident or a slip-and-fall that’s resulted in whiplash, Dante Law can help you get the whiplash compensation you deserve. Contact us today for a free consultation.